Coming in a terra cotta planter with a bed of natural moss, this philodendron artificial plant features large, real to the touch leaves that have a natural sheen. They're artfully stacked on top of one another, giving the piece dimension and life. Place this 5-foot plant on either side of your master bedroom dresser for a natural touch to your area. 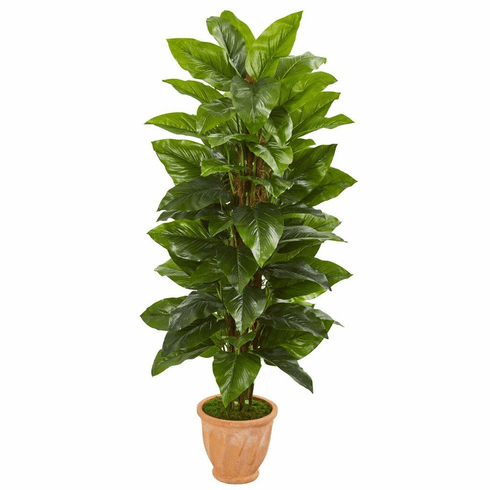 Height: 5 Ft., Width: 30 In., Depth: 30 In., Color: , Pot Size: H: 10 In. W: 11 In. D: 11 In.